Why aging decreases our immune system’s abilities has long been a mystery. But a new study finds that our infection-battling B-cells become blunted with age, making us less equipped to fight off the Influenza in our advanced years. And because most vaccines rely on a B-cell response to work, the findings may explain why the influenza vaccine is less effective in this population. Scientists compared how B-cells and antibodies from younger adults (ages 22 to 64) and elderly adults (ages 71 to 89) responded to vaccines for recent Influenza strains. The B-cells of younger people were good at recognizing mutations of the virus and producing protective antibodies. But the older people’s B-cells were less adept at fighting the rapidly changing influenza virus. Their B-cells were more stagnant and the antibodies they produced were less diverse and less potent than the younger people’s. "[Their B-cells] are 'stuck in the past'. The influenza viruses mutate and evolve with time, but with age, our B-cells can no longer keep up," said author Patrick Wilson, researcher at the University of Chicago. Our immune systems learn from exposure, and B-cells play a major role in the immunity process. With the help of other cells in the immune system, B-cells churn out antibodies when we get sick or receive an immunization. Antibodies are Y-shaped proteins that bind to harmful invaders and mark them for destruction. Once the infection is cleared, a type of record-keeping B-cell, known as memory B-cells, remain in the bloodstream and stand ready to produce antibodies if the threat is encountered again. As we age, something hampers our immune system’s ability to produce ever-stronger antibodies in response to infections. As a result, older people are relying on mostly memory B-cells to make antibodies from long-past immune responses that are ill-equipped to squash rapidly evolving pathogens like theInfluenzavirus. While new Influenza strains were problematic for the elderly participant’s B-cells, they were very proficient at combatting mutations of the virus that circulated during their childhoods. Young people’s B-cells, however, struggled when faced with older strains of Influenza. The strength of our immune response diminishes over time once we reach a certain age. The researchers observed that participants between 50 and 70-years-old had intermediate declines in their influenza-fighting power, with steeper drops typical after age 70. That’s why vaccines are so necessary for the elderly. But because the ever-changing Influenza virus is capable of outsmarting young and old immune systems alike, even a well-matched vaccine may only reduce the chances of illness by 40 to 60 percent in the general population. Effective rates are typically less for the elderly, but Wilson stressed that "not as effective" does not mean "not at all effective". 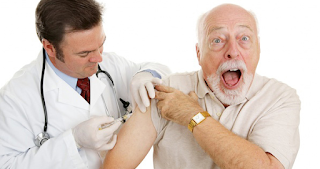 With vaccination, the duration and severity of illness will be reduced, which is extremely important for older people as the severity of infection is already much worse. Henry et al: Influenza Virus Vaccination Elicits Poorly Adapted B Cell Responses in Elderly Individuals in Cell Host & Microbe – 2019. See here. Risk of Tilapia Lake Virus transmission via frozen tilapia fillets? Recent outbreaks of a novel Tilapia Lake Virus have raised concerns regarding the international spread of Tilapia Lake Virus via frozen tilapia products. You see, in theory it is quite possible that a virus might survive in the deep frozen fish fillets and, if thawed, could infect you. Like me, some scientists were also growing a bit worried and investigated the potential risks of frozen tilapia fillet as a source of transmission. The results were that genomic RNA of the Tilapia Lake Virus could be detected in tilapia fillet and the virus isolated from non-frozen and frozen fillets with clinical Tilapia Lake Virus infection stored up to 28 days caused a cytopathic effect formation in the susceptible cell line in vitro. However, frozen fillets from clinical Tilapia Lake Virus infection stored for 90 and 120 days did not cause a cytopathic effect in the susceptible cell line. Similarly, a cytopathic effect was not observed in Tilapia Lake Virus isolated from subclinically Tilapia Lake Virus-infected fish fillets. 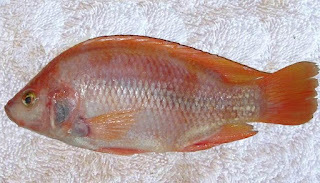 In addition, in vivo bioassay revealed that despite the presence of Tilapia Lake Virus isolated from subclinically Tilapia Lake Virus-infected fillet stored at -20°C for 14 days, there was no evidence of Tilapia Lake Virus disease in naïve red hybrid tilapia (Oreochromis mosssambicusxniloticus) based on the absence of clinical signs and mortality and without the detection of Tilapia Lake Virus genomic RNA using reverse transcription-quantitative polymerase chain reaction assay. Collectively, the scientists conclude, these findings suggested minimal risk of transmission of Tilapia Lake Virus via frozen tilapia fillets. But is it? While the scientists wrote quite a lot about conditions that resulted in non-transmission, they glossed over the bit that proved that a transmission of Tilapia Lake Virus via frozen fish fillets was quite possible. Llamas (and other camelids) may hold the key to a long-lasting Influenza vaccine. 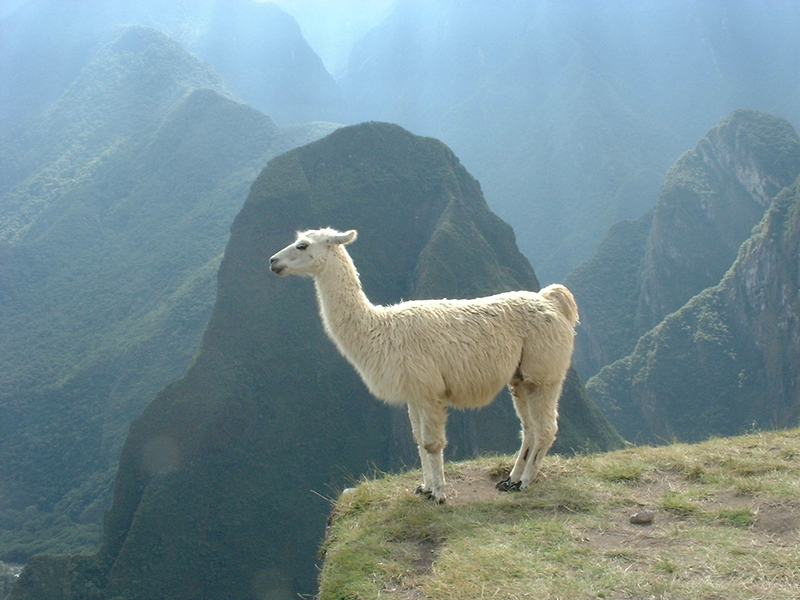 New research showed a protein produced by llamas fought off the virus in mice. A scientific team injected the llamas with a vaccine that contained three different Influenza viruses. The scientists then collected broadly neutralizing single-domain antibody (sdAbs). They were then able to isolate two influenza A (SD36 and SD38) and two influenza B (SD83 and SD84) sdAbs and analyzed their in vitro neutralizing activity. SD36 potently neutralized influenza A group 2 (H3, H4, H7, and H10) but not group 1 (H1, H2, and H5) viruses, whereas SD38 potently neutralized group 1 (H1, H2, and H5) and some group 2 (H3, H7, and H10) viruses, albeit with lower potency. SD84 and SD83 neutralized representative viruses from both influenza B lineages. When this protein was given to mice they were more likely to survive influenza A and B than untreated rodents. The study also showed the protein protected rhesus macques monkeys for at least four months. Prof Ian Wilson, one of the researchers, said: "It's very effective, there were 60 different viruses that were used in the challenge and only one wasn't neutralised and that's a virus that doesn't infect humans". Laursen et al: Universal protection against influenza infection by a multidomain antibody to influenza hemagglutinin in Science - 2018. See here. 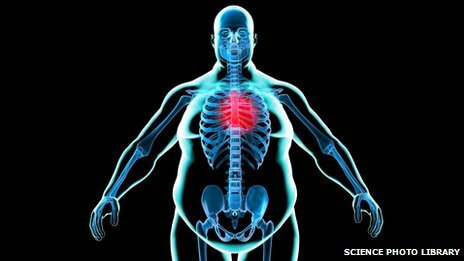 A new study finds that growth rates in obesity and diabetes, along with populations which are increasingly resistant to antibiotics, could turn even a mild outbreak of Influenza into an explosive global pandemic. 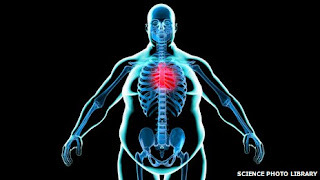 One of the authors of the study, virologist Dr Kirsty Short, explained the link between obesity and spread of dangerous diseases: "There has been an incredible rate of increase of diabetes and obesity even in my lifetime. This has significant implications on infectious diseases and the spread of infectious disease." Dr. Short continued, "But because chronic diseases have risen in frequency in such a short period of time, we’re only starting to appreciate all of the consequences." 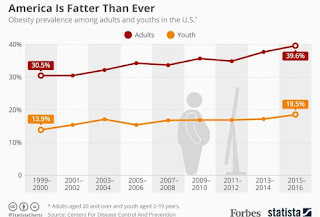 "As our population is ageing and chronic diseases are becoming so prevalent, that could turn even a mild pandemic into a chronic one," Dr. Short concluded. 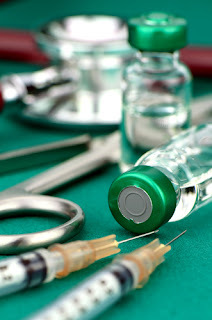 Though modern medicine and vaccines are better prepared to mitigate the impact of a major outbreak than in 1918, issues like obesity and diabetes more broadly present in society will likely provide a significant hindrance to prevention and treatment, scientists fear, as these conditions could alter the body's immune response, leading to greater rates of hospitalization and even death. Disturbingly, scientists have predicted that if something on the scale of the 1918 Spanish flu were to occur today, it could result in a death toll as high as 147 million people worldwide, according to estimates. 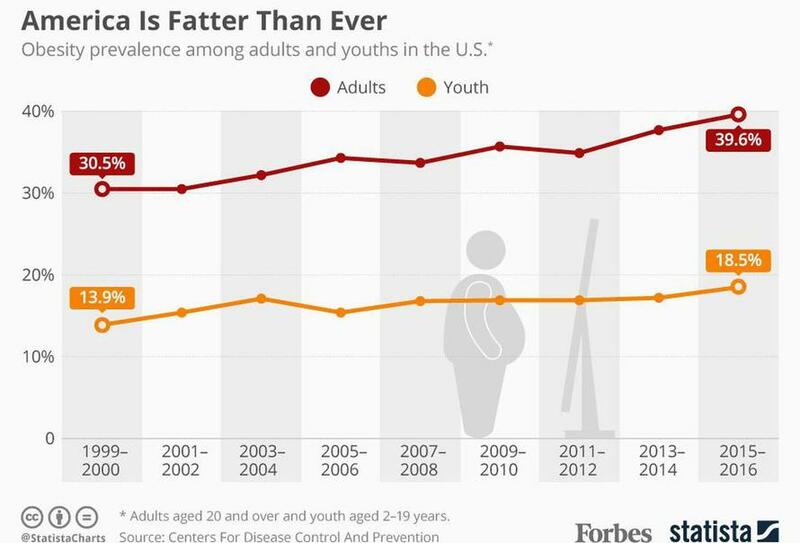 Meanwhile, nearly all recent studies of American obesity suggest the trend of increasingly overweight Americans will only continue. Following a particularly severe 2017-2018 influenza season with a record-breaking estimated 900,000 hospitalizations and more than 80,000 deaths in the US, everyone is advised to follow the Centers for Disease Control and Prevention (CDC) recommendation that everyone age 6 months and older get vaccinated against Influenza each year. These new estimates are record-breaking, and emphasize the seriousness and severity of Influenza and serve as a strong reminder of the importance of vaccination. During the 2017-2018 season, 180 Influenza deaths in children were reported to CDC, exceeding the previously recorded high of 171 for regular (non-pandemic) Influenza season. This number is thought to be underestimated, as not all Influenza-related deaths are reported. During most Influenza seasons, about 80 percent of reported pediatric deaths occur in children who have not been fully vaccinated against Influenza. Influenza vaccination has been shown to reduce the risk of flu illness, and a growing body of evidence supports the fact that vaccination also reduces the risk of serious Influenza outcomes that can result in hospitalization and even death. 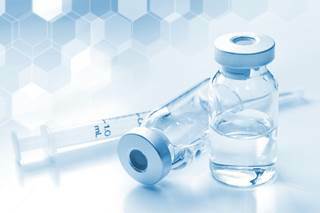 CDC estimates that Influenza vaccines prevent tens of thousands of hospitalizations each year and a CDC study in 2017 was the first of its kind to show vaccination reduced the risk of Influenza-associated death by half (51 percent) among children with underlying high-risk medical conditions and by nearly two-thirds (65 percent) among healthy children. Most recently, a study showed that Influenza vaccination lessened the risk of severe Influenza among adults, including reducing the risk of hospitalization and admission to the intensive care unit, and also lessened severity of illness. These benefits are especially important for people at high risk of serious complications, like people 65 and older, children younger than 5 years, pregnant women and people with certain underlying long-term medical conditions, such as heart and lung disease or diabetes. So, dear antivaxxers, even if you do not believe in the efficacy of vaccines yourself, please have your child vaccinated against Influenza. Do you really want to risk losing your child? Orthomyxoviruses harbour a family of viruses which also includes the feared Influenza viruses. And, yet again, scientists have found a novel virus that will expand that family. 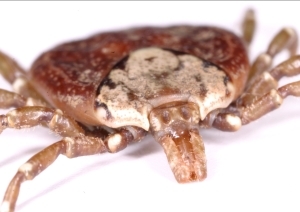 The Oz virus was isolated from a hard tick, Amblyomma testudinarium, that was 'caught' in Ehime Prefecture in Japan. No, this is not a virus that has been named after the wizard of Oz, but honours the Japanese city of Ōzu (大洲市 Ōzu-shi), located in the Ehime Prefecture where the tick was caught. After testing the Oz Virus was found to be closely related to the Bourbon Virus, a virus pathogenic to humans, discovered recently in the United States. Oz virus caused high mortality in suckling mice after intracerebral inoculation. 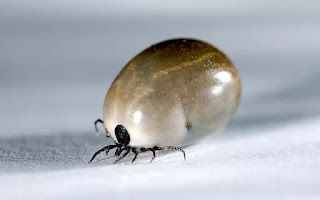 The tick itself is endemic in large areas of Southeast Asia. Adults parasitize various larger mammals such as buffalo and cattle, but also are known to attack humans. 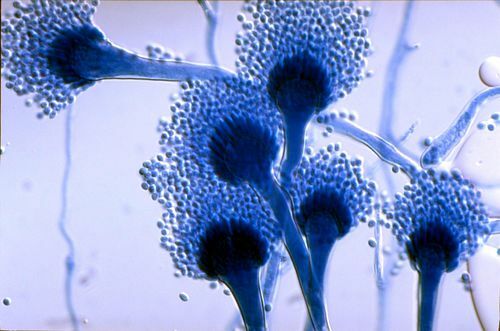 Aspergillus is a genus consisting of a few hundred different mold or fungi species found in various climates worldwide. Some species, such as Aspergillus fumigatus and Aspergillus flavus, can cause serious disease in humans. 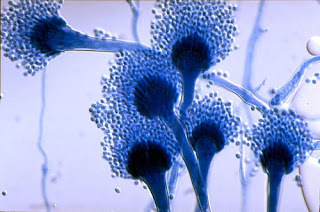 Aspergillus fumigatus infections are primary pulmonary infections and can potentially become a rapidly necrotizing pneumonia with a potential to disseminate. Aspergillosis is the name given to a wide variety of diseases caused by infection by any species of Aspergillus. It is estimated that most humans inhale thousands of Aspergillus spores daily, but they do not affect most people’s health due to effective immune responses. Invasive pulmonary aspergillosis typically occurs in an immunocompromised host. For almost a century, influenza has been known to set up for bacterial superinfections, but recently patients with severe influenza were also reported to develop invasive pulmonary aspergillosis. To investigate, researchers collected data of 432 patients admitted to the hospital with an Influenza A or B infection. Invasive pulmonary aspergillosis was diagnosed in 83 (19%) of these patients. For patients with influenza who were immunocompromised, incidence of invasive pulmonary aspergillosis was as high as 32% (38 of 117 patients), whereas in the non-immunocompromised influenza case group, incidence was 14% (45 of 315 patients). The 90-day mortality was 51% in patients in the influenza cohort with invasive pulmonary aspergillosis and 28% in the influenza cohort without invasive pulmonary aspergillosis. The results show that Influenza is an independent risk factor for invasive pulmonary aspergillosis and is associated with high mortality. If there ever was a sound reason to get vaccinated, this is it. Influenza A viruses have the annoying habit of mutating thus evading vaccination. Via antigenic drift, antigenic shift or even reassortment these virusses are constantly changing. That's the reason why we need to vaccinate ourselves every year to be protected during the winter season. Honeysuckle-based teas have long been utilized in Chinese culture to combat cold and Influenza-like symptoms. The plant (not the actress Honeysuckle Weeks) is known for its heady, intoxicating scent. 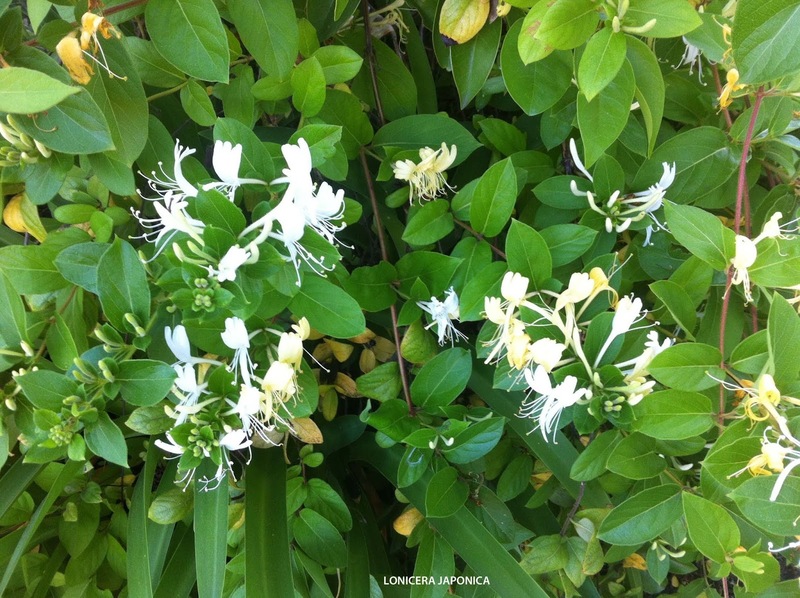 Several reports have indicated that a decoction of honeysuckle (Lonicera japonica) can suppress the replication of Influenza A viruses. However, the active compound or compounds in this decoction and the mechanism by which they block viral replication have remained unclear. If we accept the idea that the honeysuckle has some antiviral properties, it must be possible to identify the exact compound. Scientists have tried to do just that. They identified a plant microRNA called miR2911. MicroRNAs are small molecules found in plants and animals that play an important role in influencing the pathways responsible for many diseases. /miRNAs resemble the small interfering RNAs (siRNAs) of the RNA interference (RNAi) pathway. In clinical trials, this molecule was able to suppress Influenza A(H1N1) Virus, Influenza A(H7N9) and Influenza A(H5N1) Virus. This suggests that it has a broad-spectrum antiviral activity. The scientists delivered boiled honeysuckle to the plasma and lung tissue of mice infected with Influenza A(H1N1) infection. Results showed that miR2911 quickly bound itself to the messenger RNA - the molecule containing the genetic information - of the two genes responsible for viral replication. This binding mechanism blocked the replication process, and eventually the virus was destroyed. Other plants, such as chamomille, were found to also contain high levels of miR2911. It was previously thought that boiling honeysuckle would destroys the beneficial molecules, but miR2911 proved to retain its properties after boiling. This suggests that honeysuckle tea might be an effective way to treat an Influenza infection. Zhen et al: Honeysuckle-encoded atypical microRNA2911 directly targets influenza A viruses in Cell Research - 2015. See here. Influenza D Virus was first discovered in domesticated pigs in the US in 2011. Later evidence arose that cattle were the primary reservoir for influenza D Virus. But, as with all Influenza-like viruses, the Influenza D Virus was unpredictable. At the moment Influenza D Virus has been identified in domestic cattle, swine, camelid, and small ruminant populations across North America, Europe, Asia, South America, and Africa. A new study investigated the seroprevalence and transmissibility of Influenza D Virus in feral swine. Swine were introduced into what is now the United States in the 15th century. Since that time, populations of free-ranging swine have spread to about 40 states. 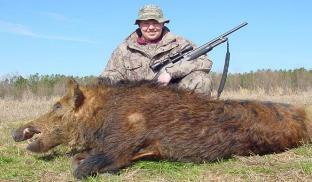 During 2012-2013, scientists evaluated feral swine populations in four US states. Of 256 swine tested, 57 (19.1%) were seropositive for Influenza D Virus, indicating a previous infection. Previous studies have suggested that domestic swine are major sources of Influenza A Virus exposure for feral swine. Among 96 archived influenza A virus-seropositive feral swine samples collected from 16 US states during 2010-2013, 41 (42.7%) were also Influenza D Virus seropositive. While Influenza D Virus was shown not to cross-react with Influenza A Virus (yet), the our study showed that 42.3% of the IAV-seropositive feral swine also had exposure to IDV. The rate of seroprevalence of Influenza D Virus in Influenza A Virus-seropositive feral swine was more than twice that observed among Influenza A Virus-negative feral swine. The question is, therefore, why are feral swine, that are infected with Influenza A Virus, more susceptible to an infection with Influenza D Virus. Or vice versa. Ferguson et al: Influenza D Virus Infection in Feral Swine Populations, United States in Emerging Infectious Diseases – 2018. See here. As always, nature will surprise us over and over again. As Michael Coston said here: Nature's laboratory is open 24/7 and it never stops tinkering with the evolutionary process. Influenza A(H6Nx) is well established in terrestrial poultry, has jumped species barriers and caused human infection, thus indicating the pandemic potential of the virus. Indian scientists have discovered two different novel reassorted Influenza A(H6N2) viruses isolated from apparently healthy domestic ducks in Kerala and Assam, India during 2014 and 2015, respectively. Hemagglutination (HA) inhibition assay revealed antigenic divergence between the two isolates. This result was corroborated by amino acid differences at 55 positions (15.98%) between their hemagglutinin (HA). The sequence analysis of the viruses indicated avian receptor specificity, avian origin and low pathogenicity to poultry. However, the isolate from Kerala had a V27I mutation marker for amantadine resistance in M2. The isolate from Assam had an additional N-linked glycosylation on HA2 (position 557) compared to the Kerala isolate. Analysis of the HA gene revealed that both the viruses belonged to distinct lineages. Analysis of neuraminidase (NA) and internal gene segments revealed distinct gene constellation indicating that both the viruses are novel reassortants and are genetically distinct. The results suggest independent introductions of the two different Influenza A(H6N2) viruses into India. Migratory wild birds using the Central Asian flyway might be the source of these Influenza A(H6N2) viruses in ducks in India. Twice annually, WHO organizes consultations to analyse influenza virus surveillance data generated by the WHO Global Influenza Surveillance and Response System (GISRS), and issues recommendations on the composition of the influenza vaccines for the following influenza season. There was considerable variation in the predominant virus type circulating in different regions during the period September 2017 to January 2018. Influenza B viruses predominated in many countries, while A(H3N2) viruses predominated in some and A(H1N1)pdm09 viruses circulated widely in Africa, Asia, parts of Europe and in the Middle East. The vast majority of influenza A(H1N1)pdm09 viruses belonged to genetic subclade 6B.1 and were antigenically indistinguishable from the vaccine virus A/Michigan/45/2015. Influenza A(H3N2) viruses were associated with outbreaks in several countries. The majority of recent viruses were antigenically related to cell culture-propagated A/Hong Kong/4801/2014-like and A/Singapore/INFMH-16-0019/2016-like viruses; they reacted poorly with ferret antisera raised to many egg-propagated clade 3C.2a viruses, but somewhat better to egg-propagated A/Singapore/INFMH-16-0019/2016-like viruses. Influenza B viruses of the B/Yamagata/16/88 lineage predominated in most regions of the world. Recent B/Yamagata/16/88 lineage viruses were antigenically and genetically closely related to the vaccine virus B/Phuket/3073/2013. Influenza B viruses of the B/Victoria/2/87 lineage were detected in low numbers but a substantial and increasing proportion of these viruses, containing a two amino acid deletion in their HAs, were antigenically distinguishable from the vaccine virus B/Brisbane/60/2008 but closely related to B/Colorado/06/2017. - a B/Colorado/06/2017-like virus of the B/Victoria/2/87-lineage. The China's Centre for Health Protection (CHP) of the Department of Health (DH) has received notification from the National Health and Family Planning Commission (NHFPC) that a human case of avian influenza A (H7N4) was confirmed from February 10 to 14. According to the NHFPC, this is the first case of human infection with avian influenza A (H7N4) in the world. The case involved a 68-year-old female patient living in Liyang in Changzhou of Jiangsu Province who developed symptoms on December 25, 2017. She was admitted to hospital for medical treatment on January 1 and was discharged on January 22. She had contact with live poultry before the onset of symptoms. All her close contacts did not have any symptoms during the medical surveillance period. According to a report from the Chinese Center for Disease Control and Prevention, upon analysis, the genes of the virus were determined to be of avian origin. Although a subtype of Influenza A (H7N4) Virus sparked a minor outbreak in chickens in Australia in 1997, and this subtype has been reported elsewhere in the world (South Africa, Texas, etc. ), this is likely a new reassortant virus. Like I said before: nature is unpredictable. The aim of the vaccine was to induce responses to the protein stalk part of the influenza surface glycoprotein, instead of the typical target of the head. Glycoproteins are proteins that contain oligosaccharide chains covalently attached to polypeptide side-chains, formed from a process called glycosylation. While the stalk domain offered protection, it is not, in itself stable. The researchers needed to devise a way to make it stable. This was performed by assembling a stalk domain into a protein nanoparticle as a vaccine. The nanoparticles were unique to the research since the particles were generated to contain only the protein that was capable of inducing immune responses. To show the effectiveness of the nanoparticle vaccine, the science team immunized mice on two occasions via an intramuscular shot. The rodents were then exposed to several influenza viruses (H1N1, H3N2, H5N1 and H7N9). Study of the mice indicated that the immunization provided universal protection. The next step on the path to a vaccine to be used on humans is for the researchers to test out the nanoparticle vaccine in ferrets. Ferrets are similar to humans in relation to the orchestration of their respiratory system. Deng et al: Double-layered protein nanoparticles induce broad protection against divergent influenza A viruses in Nature Communications - 2018. See here. 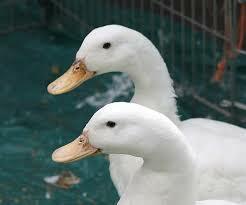 Wild aquatic birds are the natural reservoirs of Influenza A viruses. These birds can contaminate the natural water bodies inhabited by them. The question is if the Influenza A viruses, secreted by the birds, can persist in the waters around them. Research has now concluded that these Influenza A viruses can persist in the contaminated water from days to years depending upon the environmental conditions. Various aquatic species other than ducks can promote the persistence and transmission of Influenza A viruses. However, studies on the role of aquatic fauna in persistence and transmission of these viruses are scarce. So, the researchers designed an experiment to evaluate the survivability of Influenza A(H9N2) Virus in water with and without the bamboo shrimp (Atyopsis moluccensis) for a period of 12 days. 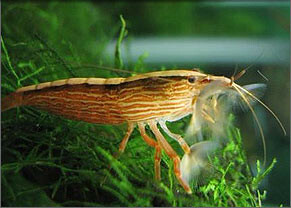 The infectivity and amount of virus in water were calculated and were found to be significantly higher in water with the bamboo shrimp than in water without the bamboo shrimp. The study also showed that bamboo shrimp can accumulate the virus mechanically which can infect chicken eggs up to 11 days. Whatever the means of accumulation, shrimps have now been proven to be a novel host for Influenza A viruses. Around 1933, adamantane was discovered in petroleum, although the content varies from between 0.0001% and 0.03% and is far too low for commercial production. Which means it has to be synthesized in a laboratory. All medical applications known so far involve not pure adamantane, but its derivatives. 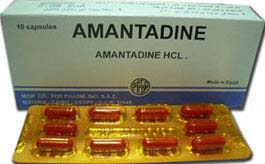 The first adamantane derivative used as a drug was amantadine in 1967. It was prescribed as an antiviral drug for the prevention and therapy of various strains of influenza A. Other deravitives followed. 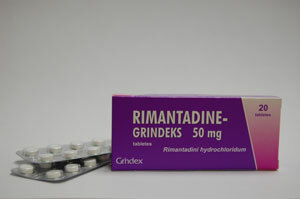 Rimantadine was believed to inhibit influenza's viral replication, possibly by preventing the uncoating of the virus's protective shells, which are the envelope and capsid. However, effectiveness of both amantadine and rimantadine was lost when Influenza A viruses acquired an amino acid substitution at one of five critical residues of the M2 protein. It was thought these antiviral drugs would be consigned to history. But, when doctors stopped prescribing these drugs, the pressure on the virusses diminished: they 'thought' that the previous mutation wasn't useful anymore and the mutation was lost in favour of other mutations that were more useful. Even though the Influenza A(H3N2) virus has continued to undergo substantial antigenic and genetic evolution over the last decade, the M2 residue has remained almost completely fixed, suggesting that during that time it contributed to viral fitness. However, the recent detection of M2 S31 and D31 viruses in Australia suggests that the importance of the M2 N31 residue in viral fitness may no longer be as strong as it was. It may be that the M2 S31 viruses detected in Australasia in 2017 could be the progenitors for a reversion back to more widely circulating adamantane-sensitive Influenza A(H3N2) viruses, some 12 years after the resistant strain emerged and then dominated globally. If this were the case, it would revive the option of using adamantanes to treat Influenza A(H3N2) virus infections and improve the opportunities for using these drugs in combination with other antivirals. 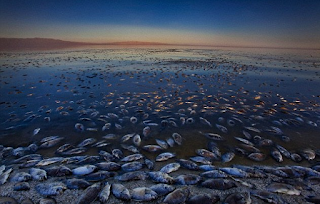 Since 2009, tilapia aquaculture had been threatened by mysterious mass die-offs in farmed fish in Israel and Ecuador and took some time to understand that a Orthomyxovirus was the root cause of the death of these fishes. In 2016, the world was alerted to Tilapia Lake Virus, a novel Orthomyxovirus, the family of viruses that also includes all the Influenza viruses. Israel and Ecuador are half a world apart and therefore the question was: how did it get from one country to another. 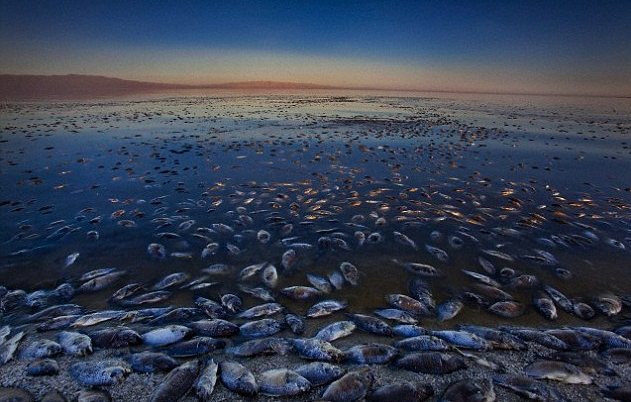 The answer was simple, because it now clear that the Tilapia Lake Virus is killing fish on a worldwide scale. Reports have come from Egypt, Thailand and Colombia. At the moment, Tilapia Lake Virus has infected tilapia only, no other aquatic or terrestrial animals. The virus is mutating. I won't say more, but you understand my drift. Bacharach et al: Characterization of a Novel Orthomyxo-like Virus Causing Mass Die-Offs of Tilapia in mBio – 2016. See here. Surachetpong et al: Outbreaks of Tilapia Lake Virus Infection, Thailand, 2015-2016 in Journal of Emerging Infectious diseases – 2017. See here. The medical profession of the eighteenth century was ill equipped to deal with influenza at any level. 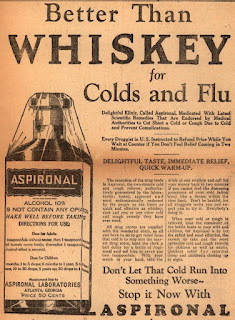 For most doctors, especially in the first six or seven decades of the century, influenza seemed to be spread or 'created' by atmospheric factors. Such theories could be complex. They usually invoked an unknown poison or spores carried in the air and/or specific winds, temperature changes, barometric pressures, or other meteorological factors to explain the appearance and spread of endemic diseases like influenza. To that extent, most eighteenth and early nineteenth-century articles on influenza are much more likely to contain elaborate meteorological tables than geographical reconstructions or statistics on morbidity or mortality. Of course, e don't know the exact subtypes, but Influenza pandemics occurred at least three times in the eighteenth century: 1729-1730, 1732-1733, and 1781-1782. In addition there were two major epidemics that could possibly be considered pandemics, in 1761-1762 and 1788-1789. Of these, two warrant further discussion: the pandemic of 1729-1730 and the great pandemic of 1781-1782. 4. the pandemic started in China and spread westward in 1782. Influenza viruses follow a distinct pattern and timeline: H2, H3, H1, H2, H3, H1, H1. Then apparently out of sync, the novel Influenza A(H1N1) Virus reemerged in 2009. If nature can be trusted (which it certainly cannot), the next potential pandemic could be cause by the return of Influenza A(H2N2) Virus. In 2011, after the first shock over the 2009 H1N1 pandemic had finally died down, some researchers suggested it might make sense to add an H2N2 component to the seasonal vaccine to head off the `next' pandemic. As could be predicted, nobody really took care of this futuristic idea. Research from 2013 studied 22 H2N2 avian viruses collected from domestic poultry and wild aquatic birds between 1961 and 2008. The researchers found evidence that descendants of the Influenza A(H2N2) virus, that killed millions worldwide in the 1950s, still pose a threat to human health, particularly to those under 50. 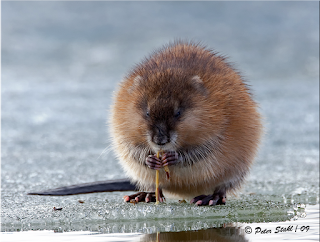 So, Influenza A(H2N2) Virus still roams free in the wild and it was no real surpise when Russian scientists isolated a variant of Influenza A(H2N2) Virus in a muskrat (Ondatra zibethicus): A/muskrat/Russia/63/2014 (H2N2). Results suggest that interspecies transmission of Influenza A viruses from wild water birds to semiaquatic mammals occurs, facilitating the spread and evolution of Influenza A viruses in wetland areas of Western Siberia. At the moment this mammalian Influenza A(H2N2) Virus presents no evidence of virulence for humans or poultry. Thus, it may be a muskrat-adapted virus or a transient virus in the nasal cavity of muskrats. The researchers think that muskrats could serve as a new reservoir of Influenza A viruses, posing a potential risk to other animals in the food chain, including humans. 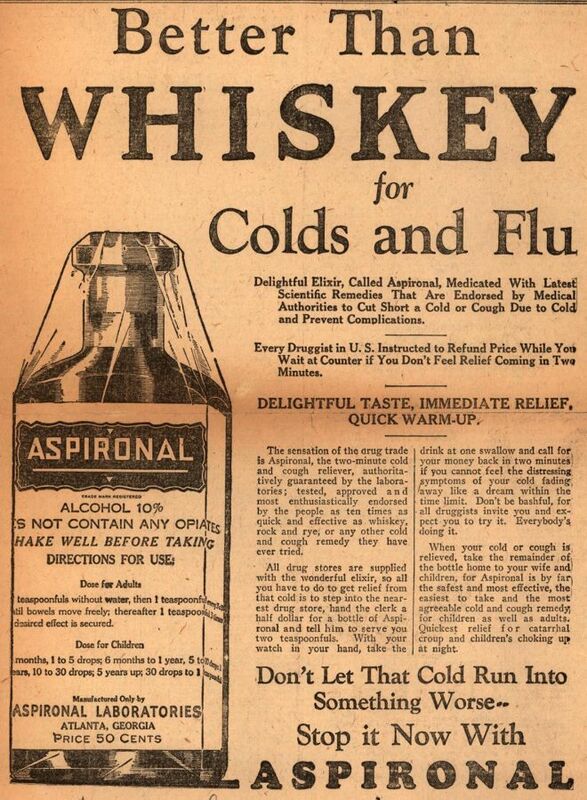 Remember the days when governments were stockpiling Osiltamir (marketed as Tamiflu) to counter the effects of Influenza A (H1N1)? Well, those heady days are over. 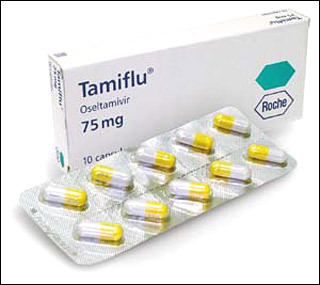 In 2015, an analysis of Tamiflu found that the antiviral drug shortened the duration of symptoms of influenza by about a day and reduces the risk of complications, such as pneumonia, and admissions to hospital of patients with confirmed influenza. Little was said about the increase in the occurrence of nausea, vomiting, renal problems and psychiatric syndromes as a result of Tamiflu. The results of the study contrasted with that of the Cochrane reviewers, who found no good evidence that Tamiflu reduced the number of people admitted to hospital or that it reduced complications of influenza. We have written about the possible ineffectiveness of Tamiflu several years ago (2014). See here. Tamiflu has now been downgraded in the World Health Organization’s list of essential medicines from a 'core' drug to one that is 'complementary'—a category encompassing drugs that are deemed less cost effective. 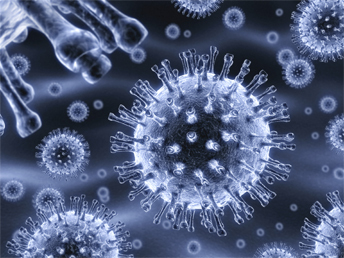 Influenza C Virus was first isolated in 1947. 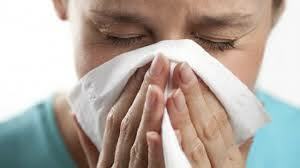 Because this virus only rarely caused influenza, it has been seriously neglected by science. Influenza C Virus is known to infect humans, pigs and dogs. 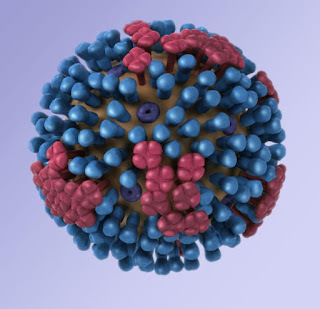 Influenza C virus is unique since it contains only one spike protein, the hemagglutinin-esterase-fusion glycoprotein HEF that possesses receptor binding, receptor destroying and membrane fusion activities, thus combining the functions of Hemagglutinin (HA) and Neuraminidase (NA) of influenza A and B viruses. Recently, scientists finally investigated all known isolates from Influenza C Virus. The results showed that there are six distinct lineages, named C/Taylor, C/Mississippi, C/Aichi, C/Yamagata, C/Kanagawa, and C/Sao Paulo. They contain both antigenic and genetic lineages of the hemagglutinin-esterase (HE) gene, and the internal genes PB2, PB1, P3, NP, M, and NS are divided into two major lineages, a C/Mississippi/80-related lineage and a C/Yamagata/81-related lineage. Since 1947, reassortment events were found over the entire period. Several outbreaks of Influenza C Virus between 1990 and 2014 in Japan consisted of reassortant viruses, suggesting that the genomic constellation is related to Influenza C Virus epidemics. The results from another study suggest that epidemics of influenza C virus infection periodically occur and the replacement of the dominant antigenic group may be caused by immune selection within older children and/or adults in the community. The results indicate that reassortment is an important factor that increases the genetic diversity of influenza C virus, resulting in its ability to prevail in humans. My concern is that Influenza C Virus will unknowingly change so much that it suddenly turns into a deadly variant. Nature can be relied upon to surprise you once in a while. Now, scientist have found that the secretion of a South Indian fungus frog (Hydrophylax bahuvistara) contains a peptide that is virucidal for H1 hemagglutinin-bearing human influenza A viruses. To collect that peptide, secretions from the skin of the recently discovered frog were gathered after delivering a mild electric shock. This peptide, they called urumin, specifically targeted the conserved stalk region of H1 hemagglutinin and was effective against drug-resistant H1 influenza viruses. The peptide kills the Influenza A Virus, but leaves healthy tissue intact. It also protected mice from lethal influenza A Virus infection. Urumin represents a unique class of anti-influenza virucide that specifically targets the hemagglutinin stalk region, similar to targeting of antibodies induced by universal influenza vaccines. Urumin therefore has the potential to contribute to first-line anti-viral treatments during influenza outbreaks. 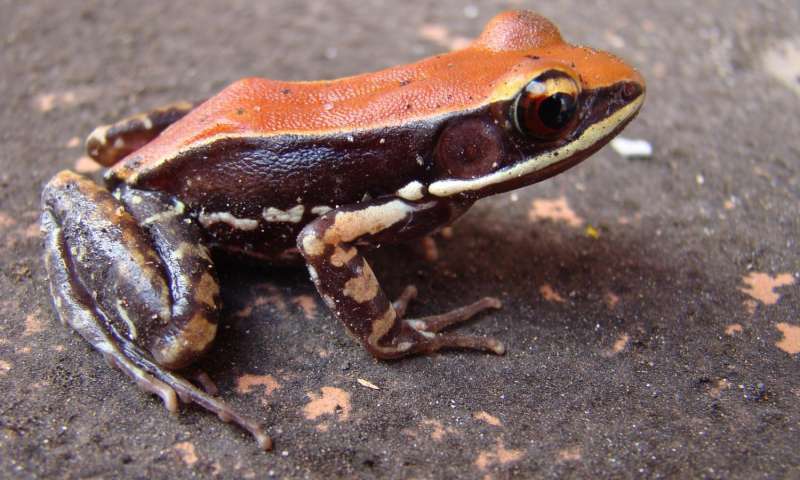 The frog produces the flu-fighting substance in its secretion quite by coincidence, as one of a number of compounds that guard against harmful bacteria and fungi. A team of researchers has identified a novel coronavirus in a bat from Uganda that is very similar to the one causing Middle East Respiratory Syndrome (MERS) in people, giving further credence to the theory that such viruses originate in bats. Laboratory experiments with the virus indicate that, while its overall genetics appear similar to MERS-coronavirus (MERS-CoV), there are significant differences in part of its spike gene – the segment of the virus responsible for invading cells. Therefore, in its current state it is unlikely to pose a threat to humans, said lead study author Simon J. Anthony. By contrast, MERS-CoV itself has been shown to spread from animals such as camels to humans and between humans. MERS, first reported in Saudi Arabia in 2012, is an illness marked by severe acute respiratory disease with symptoms of fever, cough and shortness of breath. It has a Case Fatality Rate (CFR) of some 35%. 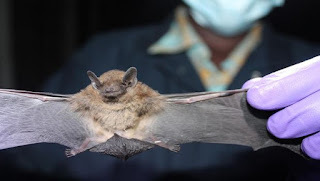 For the study, scientists sequenced the genome of the PDF-2180 virus found in a rectal swab taken from a dusky pipistrelle (Pipistrellus hesperidus), a species of bat trapped in 2013 in southwestern Uganda. Overall, the virus was 87 percent identical to MERS-CoV and 91 percent identical to NeoCoV, another coronavirus found in a Cape serotine bat (Neoromicia capensis) from South Africa. However, part of the spike gene was only 46 percent identical to the one belonging to MERS-CoV. 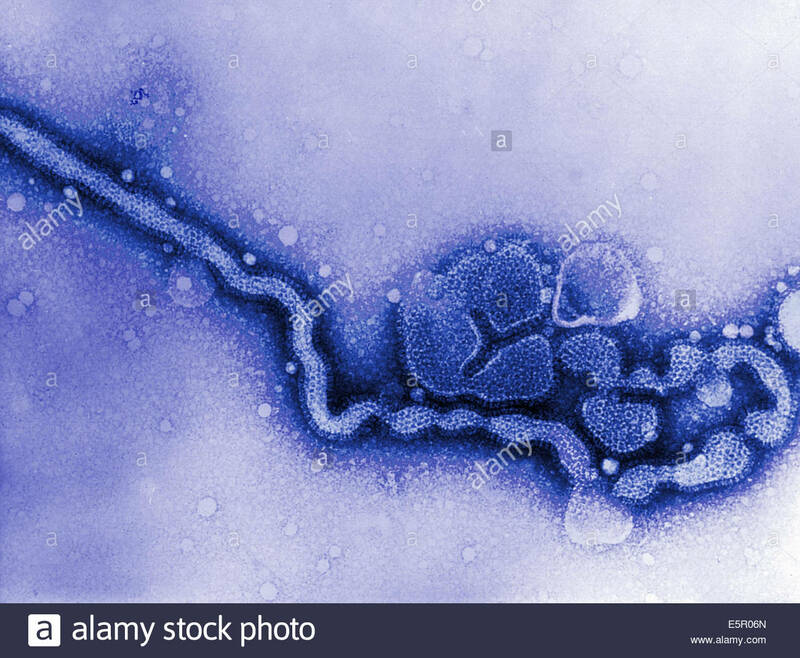 It seems a good idea to call this novel Coronavirus the Pipistrellus hesperidus Coronavirus or PipCoV. Next, the scientists tested the ability of the virus to spread to humans, but it failed to do so. 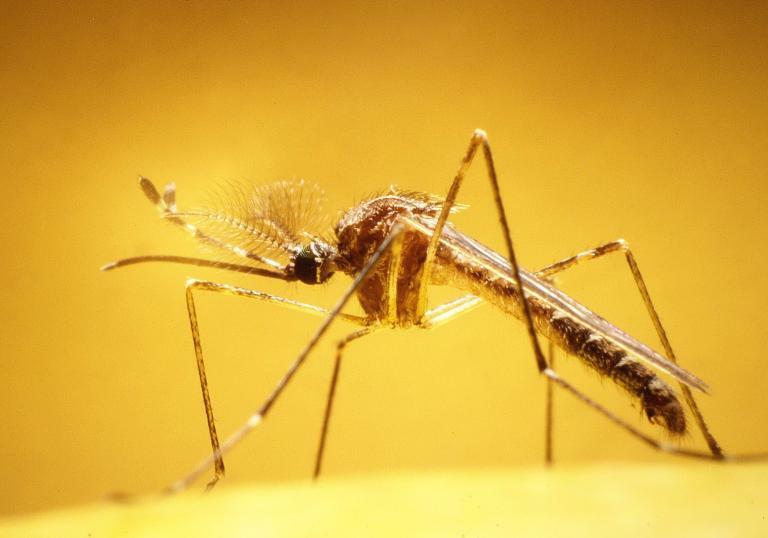 'In its current form, evolution notwithstanding, this virus is probably not going to be a threat to human health,' Anthony said. 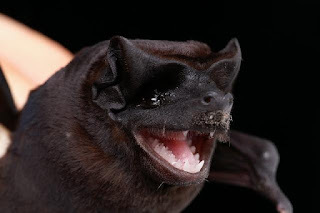 The discovery of the virus adds to the growing number of coronaviruses identified in bats, including NeoCoV from South Africa; Mex_CoV-9 from Mexico; BatCoV/KW2E from Thailand; P.pipi/VM314 from the Netherlands; H.sav/206645-40 from Italy; and BetaCoV/SC2013, HKU4 and HKU5, from China. 'Collectively, these examples demonstrate that the MERS-related coronaviruses are highly associated with bats and are geographically widespread,' Anthony said. We know that orthomyxoviruses mutate and evolve quite regularly. Most of these viruses infect mammals, insects and birds, but only rarely the infect fishes. Infectious Salmon Anemia Virus was once the only orthomyxovirus that had its eyes on fish and we wrote that it was 'currently the only known species in the newly formed genus Isaviruses within the family Orthomyxoviridae'. Tilapia Lake Virus (TiLV) was recently discovered in Israel and Ecuador. A novel virus, tentatively called Rainbow Trout Orthomyxovirus (RbtOV), was isolated in 1997 and again in 2000 from commercially-reared rainbow trout (Oncorhynchus mykiss) in Idaho (USA). In the laboratory, the virus produced a diffuse cytopathic effect. However, juvenile rainbow trout exposed to cell culture-grown virus showed no mortality or gross pathology. Another virus isolated in 2014 from steelhead trout (also Oncorhynchus mykiss) in Wisconsin (USA) and designated Steelhead Trout Orthomyxovirus (SttOV) was found to be so similar to Rainbow Trout Orthomyxovirus (RbtOV), that it is suggested that these new viruses are isolates of the same virus species and may be more widespread than currently realized. 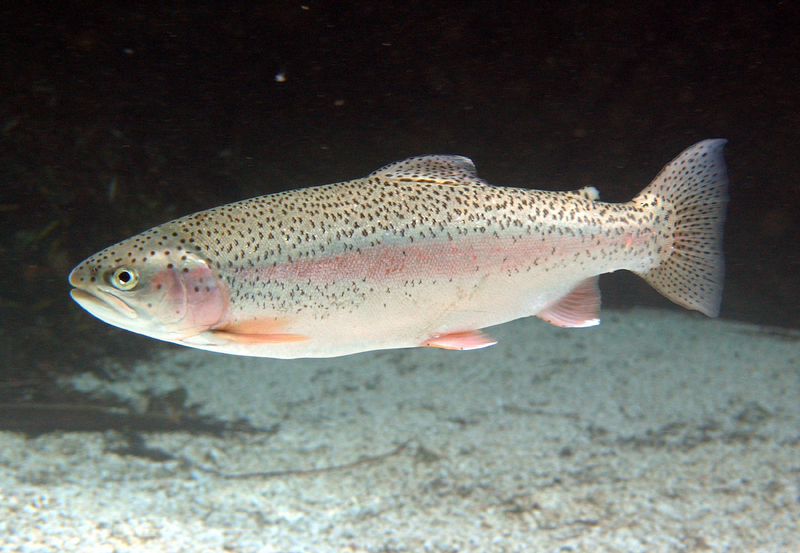 Steelhead trout and rainbow trout are the same genus and species of trout, simply the steelhead are the form that migrate out to saltwater for the adult stage of the fish, while the rainbow trout remain landlocked. The new isolates had the same genome segment order and the closest pairwise amino acid sequence identities of 16-42% with Infectious Salmon Anemia Virus. However, further analysis showed that, while Rainbow Trout Orthomyxovirus and Steelhead Trout Orthomyxovirus clustered most closely with Infectious Salmon Anemia Virus, they diverged sufficiently to merit consideration as representatives of a novel genus. While all this may be seem confusing William Batts, the lead author, explained his choice of naming in via personal communication: The Rainbow Trout Orthomyxovirus is the virus name, while the isolates are: Rainbow Trout Orthomyxovirus-1, Rainbow Trout Orthomyxovirus-2, Steelhead Trout Orthomyxovirus-1, etc. If another species of fish is found to have the same virus (close enough by sequence identity), the new virus isolates can be called a Bluegill Orthomyxovirus-1 or Largemouth Bass orthomyxovirus-1. The virus name is different from the isolate name. We've often said on this site that nature always will find new ways to infect animals (and humans) and to evolve and mutate viruses within the larger family of Orthomyxoviruses. Influenza viruses constitute just a small part of that extended family. The problem is, of course, that related viruses may change sufficiently as a result of interaction with other species and become virulent enough to pose a danger to humans. We have to keep a vigilant eye on every corner of the earth to detect new related viruses. Recently, a novel insect-specific Orthomyxovirus, designated Sinu virus, has been detected in mosquitoes that were collected around Sinú in northwestern Colombia. Genetic testing showed that Sinu Virus appears to be most closely related to viruses in the genus Thogotovirus. Togotoviruses has now been expanded to nine distinct members: Thogoto Virus, Dhori Virus, Araguari Virus, Batken Virus, Jos Virus, Upolu Virus, Aransas Bay Virus, Bourbon Virus and Sinu Virus. Out of all the vaccines created to protect us, there’s only one we need to get every year: the flu shot. A team of engineers and scientists are working to change that. They envision a day where one shot will protect you for life and recently had a breakthrough which could help improve current vaccines. “Worldwide, half a million people every year die from flu globally,” said Jiwon Lee, a doctoral student who was part of the team. “So it is a big problem that still affects our daily lives and also there’s a huge economic burden from getting sick with flu.” However the number of deaths vary widely each season as different strains of Influenza Virus circle within the population. Even the American Centers for Disease Control and Prevention (CDC) does not know exactly how many people die from seasonal flu each year. Lee says the team was able to uncover a new class of antibodies to protect the body from several flu strains, successfully working on mice. They were able to make the discovery with the help of new technology, which they say could be the key to better understanding the virus and how to beat it. “This information can be used to redesign the vaccine and we can test it using our technology to understand if it’s working or not,” said Lee. The team also studied current vaccines, quadrivalent and trivalent influenza vaccines. Quadrivalent is currently recommended by the CDC to protect against four virus strains and trivalent protects against just three. Researchers say while both are effective, trivalent still produces antibodies to protect a person from the four strains, meaning this may be the most cost-effective option for the public. According to the CDC, influenza is the eighth leading killer in the United States. Lee hopes their research could better protect millions someday. “Develop a universal vaccine where you receive it as a kid and you’re protected for life against all the known viral strains,” said Lee. “By engineering or designing the correct or the best fragment of the virus to put in the vaccine, that’s the goal,” said Lee. Estimating Seasonal Influenza-Associated Deaths in the United States: CDC Study Confirms Variability of Flu. See here. Avian influenza A(H5N6) viruses have circulated among poultry in southern (Jiangxi, Guangdong) and western (Sichuan) provinces of China since 2013. In 2014, outbreaks of H5N6 virus infection occurred among poultry in China, Laos and Vietnam. In April 2014, the first case of highly pathogenic H5N6 infection among humans was detected in Sichuan Province; the second case was detected in December 2014 in Guangdong Province. In December 2015, four humans in Guangdong Province were infected with Influenza A (H5N6) Virus. Since emerging in 2013, Influenza A (H5N6) Virus has managed to reassort with both Influenza A (H9N2) Virus and Influenza A (H6N6) Virus in Guangdong (China). Two of the three isolates examined also appear to have picked up genes for amantadine (an older antiviral) resistance, that was not present in 2014. The authors suggested there may be other - as yet undetected - H5N6 reassortants in the wild and others may yet emerge. Then, during the last week of November 2016, Korea's Ministry of Agriculture released a preliminary genetic analysis of four recently obtained Influenza A (H5N6) Virus samples from South Korean wild duck's feces and compared them to the same virus subtypes collected previously from Mainland China and Hong Kong. The analysis showed the Korean Influenza A (H5N6) Virus has changed internally from its predecessors, and that its genetic evolution continues unabated. While Korea's Influenza A (H5N6) Virus' HA and NA genes are roughly a 99% match to earlier samples, some if its internal genes have changed - likely through reassortment - and at least one (PA gene) is only about a 92% match to previous samples. It seems very likely that the virus picked up these changes as it circulated among birds in their summer breeding areas of Siberia and Northern China. Exactly how these genetic changes might affect the behavior of the virus – if at all – isn't yet known, although Korea's CDC is conducting tests to determine its potential pathogenicity in humans. Here I wrote about the discovery of two novel Influenza viruses in Central and South-American bats. Previously and provisionally designated Influenza A(H17N10) and Influenza A(H18N11), further research has revealed some worrying facts. As is usual, Influenza subtypes are named by their (simply increasing in number of discovery) hemagglutinin (HA or H) and neuraminidase (NA or N) proteins. Studies indicate that H17 and H18 HAs are unable to bind and hemagglutinate red blood cells and therefore are not “true” HAs. Thus, the scientists suggest that HAs from both H17 and H18 influenza A-like viruses should be named as “HA-like” (HL) proteins (HL17 and HL18). The N10 protein exhibits no or extremely low NA activity suggests that it may have a different function than the NA proteins of other influenza viruses. The scientists therefore suggest that N10 and N11 from bat influenza A-like viruses should be designated as “NA-like” (NL) proteins (NL10 and NL11). The new provisional naming of these two viruses is therefore: HL17NL10 and HL18NL11. Several lines of evidence indicate that bat Influenza A-like viruses are of low risk for the human population. Yet, the evidence also suggests that the ability of HL18NL11 or HL17NL10 viruses to infect canine and human cells might reflects a zoönotic potential of these recently identified bat viruses. Late in 2013, I wrote here about the discovery of a novel Influenza Virus that was then tentatively called Influenza D Virus to reflect its similarities and differences with the other Influenza viruses. Now, late 2016, the executive committee of the International Committee of Taxonomy of Viruses officially approved naming the new virus, influenza D. The committee officially announced a new genus with a single species, Influenza D virus, because of its distinctness from the other Influenza types — Influenza A, B and C.
Though Ben Hause isolated the virus from a diseased pig in 2011, he later found that cattle were the primary reservoir for influenza D. This was the very first Influenza Virus identified in cattle. Somehow they seem to forget the lessons from other Influenza viruses: they reassort frequently, mutate readily and have pervasive antigenic shifts and antigenic drifts. Why should Influenza D be different? “We have much to learn about this new virus,” said Li. That much, at least, is true, because a study indicates that the virus may be an emerging pathogen among cattle-workers. 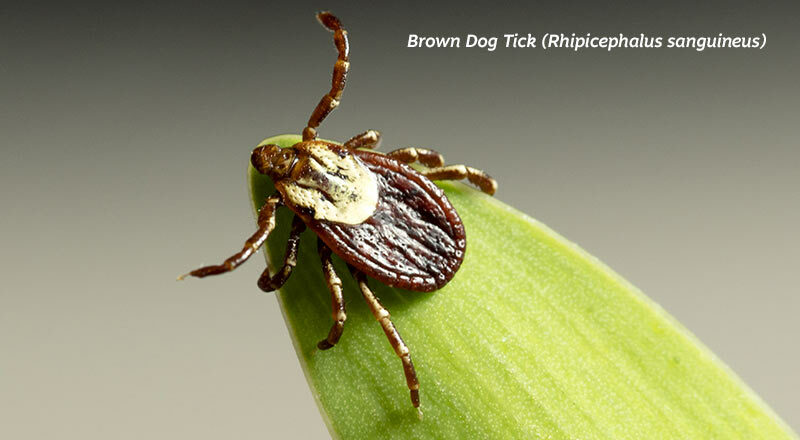 People living in tick-endemic areas around the world are being warned of an increasingly prevalent, potentially life-threatening side effect to being bitten: developing a severe allergy to meat. 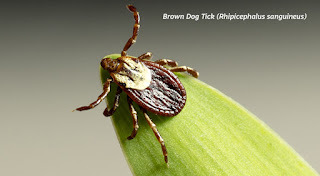 Sudden onset meat allergies (officially called Alpha-gal allergy) are exceedingly rare in adults who have never been bitten by ticks. Alpha gal is a sugar, present in beef and pork (as well as the meat of all other mammals that are not primates). Sufferers of 'tick-induced mammalian meat allergy' will experience a delayed reaction of between two and eight hours after eating red meat. Some immune systems are sensitive to proteins in the parasite’s saliva and become intolerant of red meat and, in some cases, derivatives such as dairy and gelatine. Poultry and seafood can still be tolerated. Symptoms include severe whole-body itching, hives, angioedema, gastrointestinal upset and possible fatal anaphylaxis. Cases of the allergy have been increasingly reported in Europe, Asia, Central America and Africa, but it is most prevalent – and on the rise – in parts of Australia and the United States. Some Australian doctors now diagnose one to two patients every week. Due to the role of cofactors like exercise, alcohol consumption and other medication in allergic reactions, and the risk of death that comes with anaphylaxis, many often follow vegetarian or vegan diets. Sufferers are also advised to prepare their food at home, as fish and poultry are often combined with mammalian meat products such as stock, and to avoid cross-contamination between utensils and cooking surfaces. The concept of 'Original Antigenic Sin' for influenza--which proposes that immune memory of previously encountered older flu strains weakens the response against threats from current strains--has been around since the 1960s. 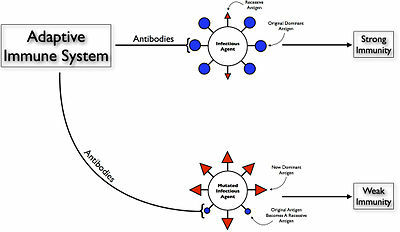 The idea is that, because some parts of a current flu virus are familiar to the immune system, antibodies specific to older flu strains are 'recalled' and produced at the expense of the creation of new antibodies specific to the current strain, and that these 'original antigenic sin' antibodies are detrimental to the host since they react poorly with the current strain against which defense is needed. To study 'original antigenic sin' antibodies, researchers studied antibody responses in mice that were sequentially exposed to different influenza strains. Most antibodies against influenza viruses recognize one of two highly variable proteins on the virus surface. The researchers focused their analysis on the antibody repertoire against one of them, hemagglutinin, or HA. Human antibodies elicited by influenza viruses often bind with a high affinity to past influenza virus strains, but paradoxically, do not bind to the viral strain actually eliciting the response. This phenomena is called 'original antigenic sin' (OAS) since this can occur at the expense of generating new de novo antibodies. The researchers characterized the specificity and functionality of antibodies elicited in mice that were sequentially exposed to two antigenically distinct H1N1 influenza virus strains. Many antibodies elicited under these conditions had an OAS phenotype, in that they bound strongly to the viral strain used for the first exposure and very weakly to the viral strain used for the second exposure. It appeared that OAS and non-OAS antibodies target the same general region of the influenza hemagglutinin protein and that B cells expressing these two types of antibodies can be clonally-related. Surprisingly, although OAS antibodies bound with very low affinities, some were able to effectively protect against an antigenically drifted viral strain following passive transfer in vivo. Taken together, the data indicates that OAS antibodies share some level of cross-reactivity between priming and recall viral strains and that B cells producing these antibodies can be protective when recalled into secondary immune responses. At the moment, the Influenza vaccines are produced in chicken eggs. This can cause problems In rare cases in people that are allergic to chicken protein. The biggest problem, however, lies in the time it takes to produce: it takes six months before sufficient vaccine is available, which is far too long if a novel Influenza variant suddenly emerges. Medicago, a Canadian company, has developed a technology wherein genetic Influenza-material (virus-like particles or VLP) is implanted into tobacco leaves. 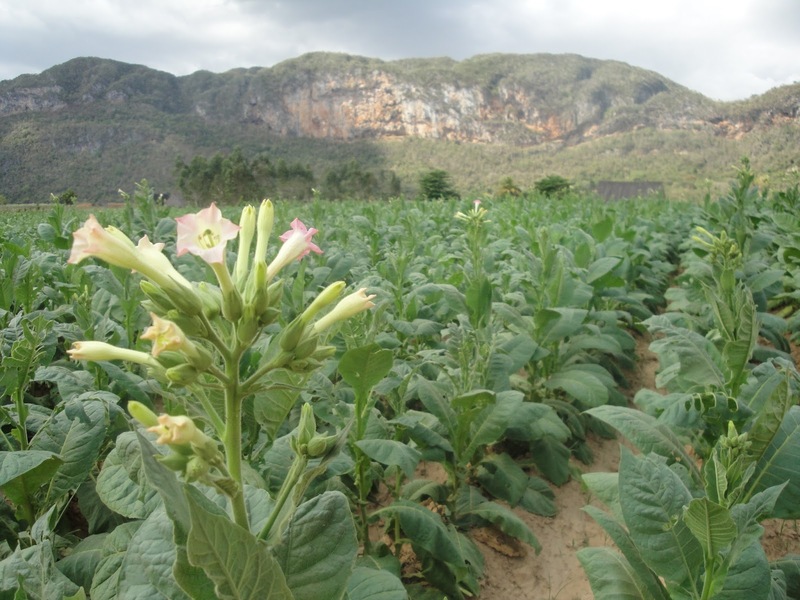 Because tobacco leaves grow quickly, more virus-like particles are produced. The production process is six times faster than the older process in chicken eggs. Plus it's a lot cheaper. At this moment in time you are probably wondering why this vaccine isn't available yet. The hurdle is that every medicine needs to undergo various test phases to study if it doesn't pose any danger to humans and if it does what it is proposed to do. It has now been entered into the so-called Phase III and thus the end is in sight, because there is only Phase IV to sustain before the vaccine is ready to go to the market. 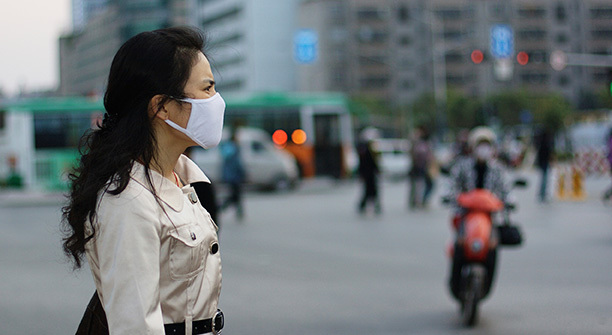 In recent years China's deteriorating air quality has increasingly been suggested as a potential co-factor driving the severity of their yearly flu seasons. Particularly, but not exclusively, the effects of fine particles less than 2.5 micrometers in diameter. There have already been number of studies that have found an apparent correlation between the level of air pollution and respiratory outbreaks in China. The age groups most affected by increased dust and pollution vary by study. There is a lot we still don't know about the environmental effects on influenza. 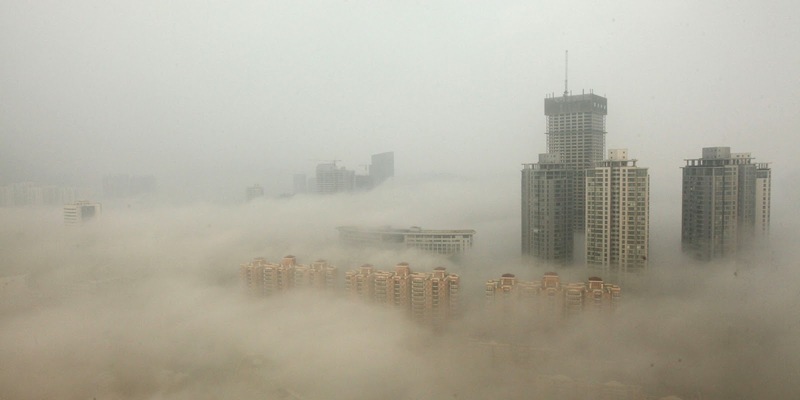 These days, each winter - between November and December - much of the Eastern seaboard of China is plagued by heavy and persistent haze and smog. At the same time, reports of extremely heavy pediatric respiratory outbreaks appear. Dozens of similar reports came in from Anhui province, Jiangsu Province and Liaoning Province. A letter to the Editor of the American Journal of Infection Control that not only describes the extent of the outbreak in Shanghai in December, 2015, it also discusses its potential link to the Shanghai's poor air quality last winter. “The epidemiologic association between the occurrence of haze and the incidence of influenza A virus infection remains largely unknown. However, during the widespread and dense haze events that occurred during the winters of both 2013 and 2015, we observed a sharp increase in the number of patients with respiratory tract infection, especially influenza A virus infections”. The researchers pose themselves a series of questions. Is the particulate dense air inhaled into the respiratory tract during a haze event a vector for pathogens, including influenza A virus? Does heavy haze decrease the resistance of lung tissue to pathogenic microorganisms, thereby increasing the risk of respiratory disease? Does influenza A Virus merely happen to coincide with the seasonal haze?